Compensation law is all we do. With LawAdvice it's easy to know where you stand. Contact us for a free consultation regarding your claim. We specialise in motor accident compensation claims. A claim under the motor accident scheme can result in signiﬁcant compensation to cover past and future treatment needs, past and future income loss, domestic care needs and a lump sum for pain and suﬀering. If you are injured at work you are able to claim weekly benefits, treatment expenses and a lump sum for your injuries. 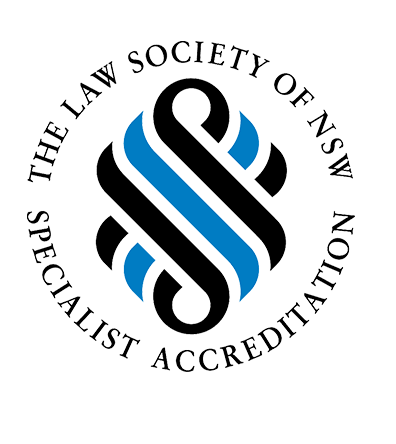 Law Advice is an approved legal service provider so all of your legal fees are paid in full by the Workers Compensation Independent Review Office. Public liability claims cover injuries resulting from a vast array of circumstances such as slip and falls, unsafe premises, dog bites, aviation accidents, claims against Councils, boating and water sport accidents and lack of security at licenced premises. If you are unable to work due to a medical condition, you may be entitled to a substantial lump sum under your superannuation policy. We can provide a free review of your policy and give you the right advice regarding your entitlements. If you have been injured while in the care of a medical practitioner you may be entitled to make a medical negligence claim. We can assess the circumstances of your injury and provide advice on your entitlement to make a claim. If you have been injured due to a faulty product you may be entitled to make a claim. Our lawyers can provide expert advice on the prospects of a claim against the manufacturer or service provider of the product. "I was involved in a car accident that left me and my family with serious injuries. I called a few law firms to try and get some help and advice but hands down the people that got back to me quickly and answered all of my questions was LawAdvice. From the very first call they gave me confidence that they will handle everything on the legal side and let me and my family focus on getting better." "I had an accident many years ago and didn’t think I could do anything about it. Over the years I paid for physio, chiro, medication, all out of pocket. I called LawAdvice to see if anything could be done expecting that it was a longshot. To my surprise I was advised that an out of time application could be made and my claim could proceed as normal! Thank you for your help and guidance." "I approached Law advice as I needed help relating to an accident. Their personal service was excellent and I was impressed from my first meeting. There were a number of features that stood out. Having detailed legal knowledge, explanation of time lines around the processes involved and the timely manner in which all queries where dealt. I would recommend Law Advice to anyone who may be in need of a company that does that little bit more for their client." "After sustaining an injury and being affected physically, emotionally, in my studies, and work life; it was such a relief to know that my case was being handled by LawAdvice who's experience and expertise allowed me to concentrate in my recovery trusting that they will mange all the complicated stuff and will be committed to get the best outcome for me. I could only be grateful to the entire team. Overall I was very satisfied with your help.!!!" Our client, a young university student, was crossing the road when a motorbike rider traveling at speed collided with him. Our client, a 62 year old truck delivery driver, sustained injuries to his back and leg in the course of his employment.